Having faffed around all summer pondering the findings of the #CPVA2018 Survey and I'm convinced that the key issue right now in relation to violent and aggressive behaviour is workforce development. 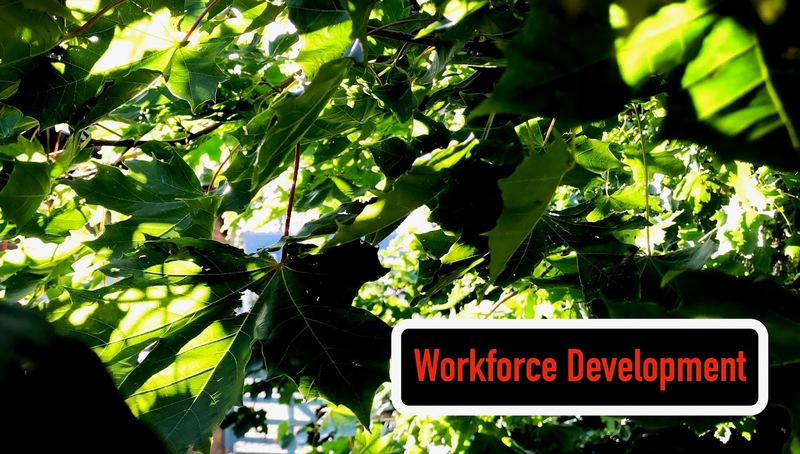 More than that, I'd go as far as to say the key issue for all aspects of adoption support is workforce development. Systems and structures will take us so far but the knowledge and skill of the social workers that come into our homes is fundamental to support. To that end I re read the Government's 2016 document Adoption: A Vision For Change as it lays out their vision for the adoption system in 2020 and how they'll achieve it. It's important but it's also clear that the focus of the section and plan remains clearly on adoption pre order. The document goes on to list 7 specific areas for workforce development of which six refer to pre order skills with only one considering post placement adoption support. That is the stumbling block for me, we can stack adopters high and have a workforce that can rattle them efficiently and skilfully through the process of adoption but if support remains weak then it's often a house built on sand. Where are the ethics of pouring more adopters into a system that isn't looking to the well term welfare of the families that are created? 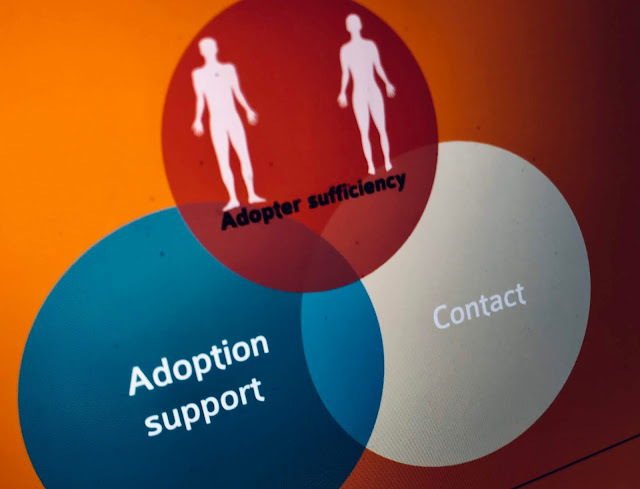 There has been a development of adoption support but that is often specialist external services accessed through para social work organisations and the ASF. For all the issues that adopters (special guardians and foster carers) face the fundamental skills and knowledge of the workforce in relation to educating, advocating and supporting children and parents seems to the the bugbear of many families. If you want to start a heated debate ask about the knowledge of social care staff. Of course there are many good social workers and most of ours have been at least good. However, to qualify as a social worker you go through a generic training with no specialism. In the three years of my degree there was one slide in one lecture that mentioned adoption. Yes, I did write that correctly. Social work is a cradle to grave service, there is a clear argument for specialising the workforce in my mind. Adoption has it's unique issues, adopters are unusual service users and the challenges that brings is for another blog, but the power dynamics and the high level of need of the children are just a few of the challenges. I'm rambling but my point is that I believe workforce development is a cornerstone of adoption services. 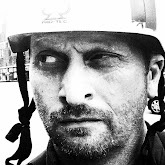 I started the blog with the complexity of challenging and violent behaviour that too many children manifest. Children who are simultaneously vulnerable and frightening. We need a workforce who understand the underlying causes, the challenges that children and families face and offer effective support in the first instance of listening, believing, acknowledging and caring. Effective interventions remain illusive but the basic go a long way. There's more to say, much more and this post feels a little rushed and incomplete but the busyness of life is against me. With this I'm hoping to start a conversation and dare I say ask the Gov what about the plan.